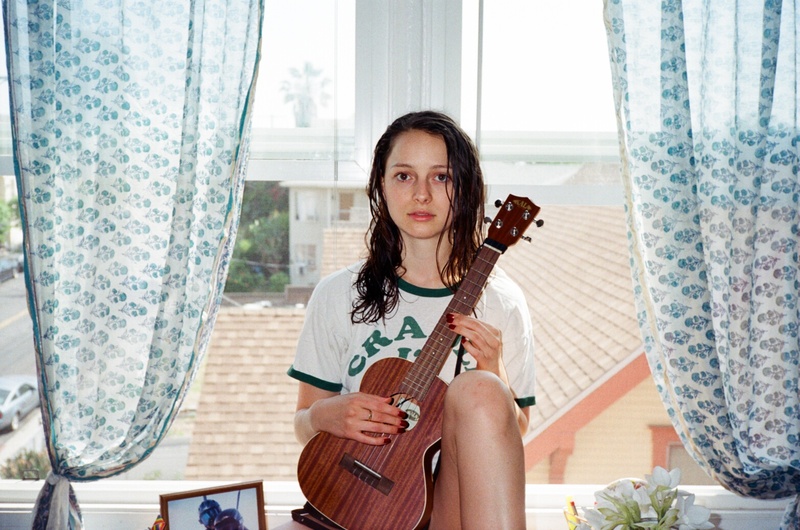 Hailing from Hollywood nobility as the daughter of Tom Rothman (Chairman, Sony Pictures Entertainment) and Jessica Harper (Actress), it was inevitable that indie singer/songwriter Nora Rothman would find herself fully immersed in all things music and entertainment. At three she laid down her first recording, at eleven she wrote her first song, and at sixteen she played her first professional show. Finding a relief in music while struggling with an anxiety disorder, Rothman immersed herself in songwriting and vocal studies as she channeled her contemporary rawness and pop sensibility into acoustic, 70s-esque arrangements. Now at 26, Rothman has more experience under her belt than most. After graduating from Brown University with honors in Creative Writing, she picked up a ukulele, and settled into her unique soulful folk sound while simultaneously appearing as an actress on stage and screen. As a professional vocalist, Rothman soloed at the KJazz Fall Benefit Concert, toured through Italy, played at the inaugural Life is Beautiful Festival in Vegas, and collaborated with visionary director Nathan Kim on their video "Strange // Humanshapes." As an actress, Rothman has starred in Criminal Minds: Beyond Borders and acclaimed indie film, Hunky Dory. A singer-songwriter with a singular folk soul sound, Rothman finds a home somewhere in between the deep vocals of Sarah Vaughan, poetic lyrics of Joni Mitchell, and honest musicality of Frank Ocean. An avid feminist and political voice, Rothman moved to Boulder, CO working as a field organizer for the Hillary Clinton campaign and after a six month hiatus, returned to music to release her self-titled debut EP this summer. For a sneak peek at Nora Rothman's debut EP, head to YouTube today to check out the live studio version of "Judy Garland," recorded at Sunsesh LA.